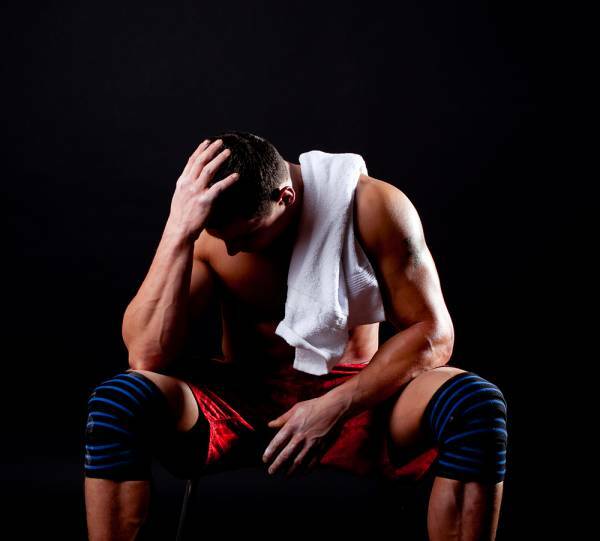 Q: How can I tell if I’m overtraining? A: Over training is perhaps the biggest stifler of bodybuilding potential. It is also very common, especially among novice trainers. These guys, full of energy and enthusiasm, do not understand, or simply refuse to accept, that more is not necessarily always better. Therefore, they place too much stress on the body and don’t give it enough time to recover. It is a condition that will lead to a frustrating dead-end in terms of training progress. The signs to look out for are chronic fatigue, insomnia, loss of appetite, proneness to injury and illness and the inability to achieve a pump. Lethargy, loss of strength and the making of excuses to avoid a work-out as well as general flu like symptoms may also be prevalent. (1) Cut back to working each body part just once per week. (2) Spend no more than 20 minutes training major body parts (thighs, lats, pecs) and half that time on minor ones. (3) Be totally focused on your training in the gym. Don’t get distracted with idle chatter or babe watching. (4) After your work-out, forget about the gym until your next session. (5) Structure your program so that you’re in the gym no more four days per week. After six weeks you should see your energy levels and your muscular gains once more on the increase. This entry was posted in Bodybuilding, Training and tagged Overtraining. Bookmark the permalink.